The station just came off an awful Feb book and has rearranged the Anchor lineup at the station. Now the Fox O&O is losing one of its best Reporters to ABC. 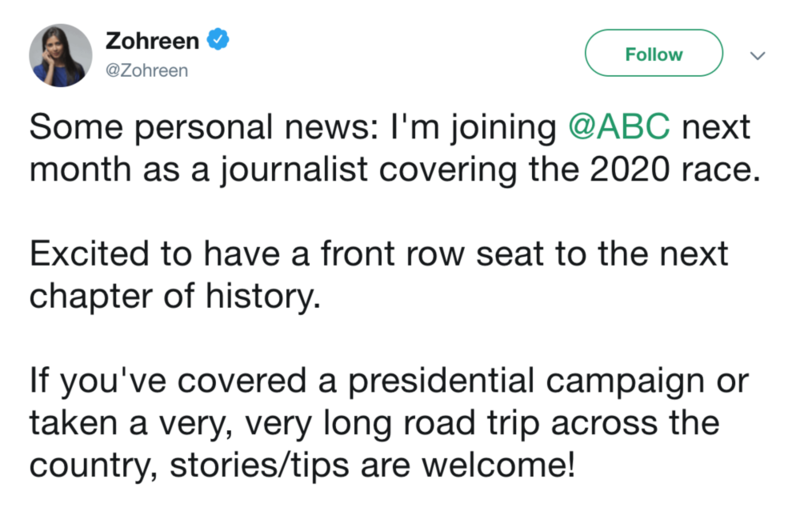 Zohreen Adamjee has bounced out of The Firm’s station and is headed to the Mickey Mouse network to cover the 2020 presidential campaign.